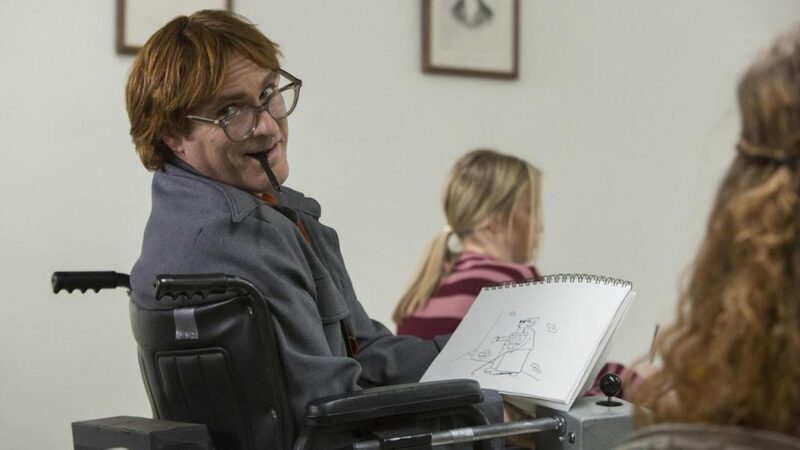 Aaron Neuwirth reviews Don't Worry, He Won't Get Far On Foot, the biography of cartoonist John Callahan, starring Joaquin Phoenix. 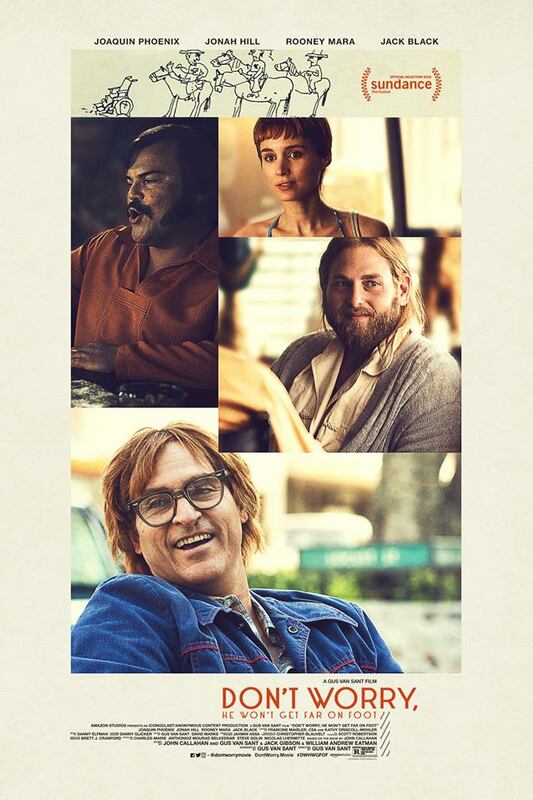 It’s about time Joaquin Phoenix reteamed with director Gus Van Sant. While acting since he was a kid, Phoenix’s real breakout role was the 1995 Van Sant film To Die For. Since that time, Van Sant has had plenty of ups and downs regarding output, while Phoenix has climbed upward as far as being one of the more committed, intense, and exciting actors currently working. So why not have these two collaborating again for a comedy-drama initially intended for Robin Williams? While Don’t Worry, He Won’t Get Far On Foot may lean a bit too hard on the conventions that made Van Sant’s Good Will Hunting work so well, there’s a sense of accomplishment to be found in this film’s performances, Van Sant’s choices, and the genuine feelings the film creates. Phoenix stars as John Callahan. This film is based on the memoir of the real Callahan, a former alcoholic, who became paralyzed in a car accident, and would go on to find a passion (and some fame) for drawing off-color cartoons for newspapers. The story is told non-linearly, which means we see Callahan at various times in his life. Right away, we learn Callahan eventually joined up with an AA group of former alcoholics, led by Jonah Hill’s Donnie, to help battle his demons. We also see the times leading up to Callahan being paralyzed, as well as the adjustment he had in being a wheelchair user, while still getting loaded. 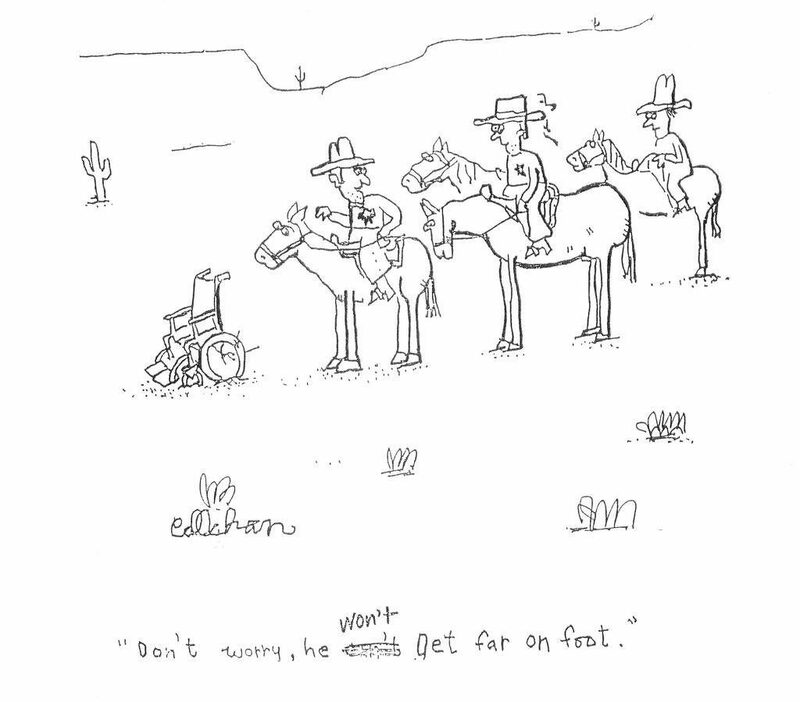 I couldn’t tell you much about the real John Callahan beyond what I learned reading up about him after seeing this film. The guy was a Portland native (highlighted by the clever casting of Portlandia’s Carrie Brownstein as one of the people concerned for Callahan), and he drew funny non-PC cartoons. That said, Phoenix is an actor who commits, and I have little doubt in feeling he captured some level of authenticity when it came to Callahan’s generally well-intentioned, but brash behavior around others. Watching him as an able-bodied alcoholic with a sweet nature, and a wheelchair-bound, sorrow-filled individual accomplishes what’s intended. Of course, this is also a redemption story, as Callahan works to get off alcohol by way of dealing with things about his past. Callahan notes many times that he was an orphan, which leads to a lot of discussion about his lack of a mother. Repetition of what we are supposed to feel from crucial moments is the film’s main issue, but I also credit Van Sant in his choice to give the film the narrative structure it has, as the way uplifting elements factor into this story feel like rewards for getting through different portions of Callahan’s life. Not hurting is the supporting talent. Hill doesn’t quite have the gravitas this film seems to believe he does as Callahan’s free-living yet stern sponsor. However, the scenes where they reach a level of emotional catharsis play about as good as they can. Elsewhere you have Rooney Mara investing a lot into a thin role as Annu, an amalgamation of a few of the women from Callahan’s life, post-paralysis. Mark Webber, Udo Kier, and a notable Beth Ditto play some of the various members of the Alcoholics Anonymous group. 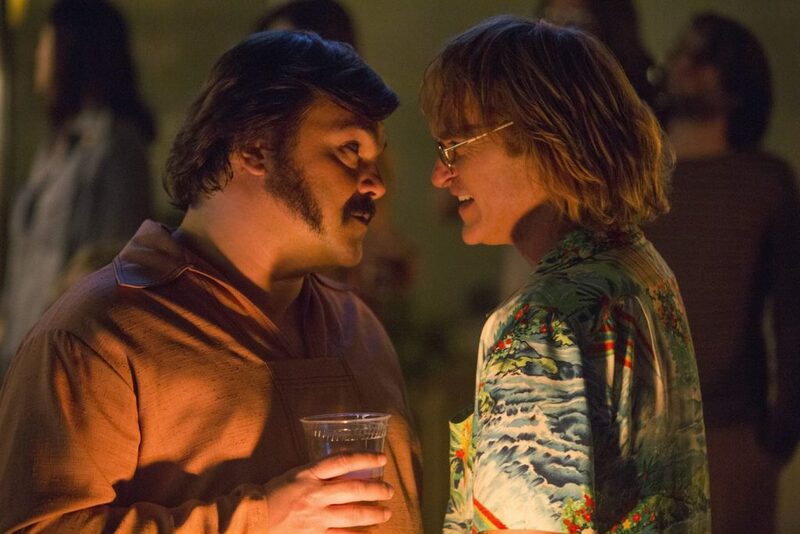 And finally, Jack Black steps in for a couple of scenes as Dexter, a man who plays a pivotal role in Callahan’s life and knocks his brief screentime out of the park. Through all of this, Van Sant gets across what he needs to by highlighting the aspects that will guarantee certain levels of emotion. While I cannot personally relate to alcohol-related trauma, I would be curious to know if it’s handled in a way that truly registers. Seeing Van Sant capture the level of anger, sadness, and confusion Callahan goes through is fascinating to watch, even if it is overemphasized to the point of making me well aware of the point. This is also why the choice to make steps in the right direction plays so well. Beyond being a more positive side to observe, Callahan’s personality has an intriguing quality that plays well when he’s challenged to apologize for or forgive his actions. And this is to say nothing of the cartoons, which come up in the film in a way that I wish I saw more of. 2003’s American Splendor was a brilliant film starring Paul Giamatti as underground comic book writer Harvey Pekar, which did well to explore that aspect of his life, along with everything around it. The style of Callahan’s drawings is interesting enough to get some emphasis in the form of slight animation, but I wonder if there was any more to explore on that level, as it gave me more to take in as far as what Callahan stood for. 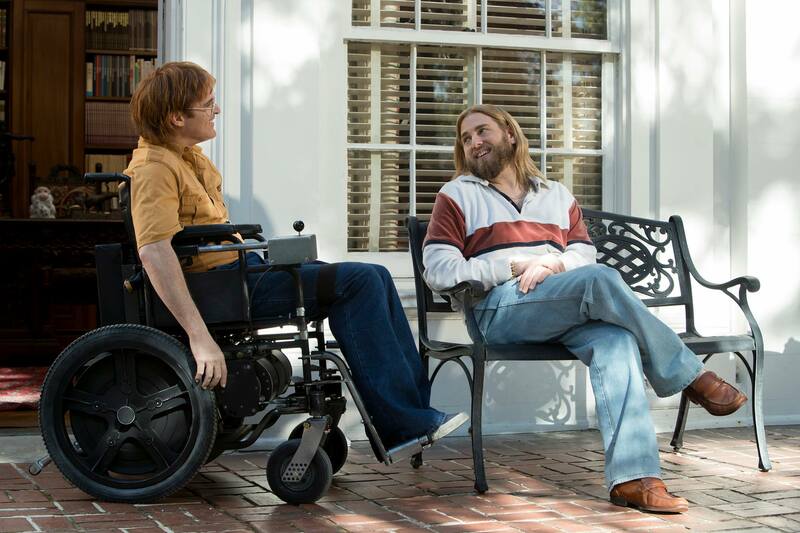 One can argue Don’t Worry, He Won’t Get Far On Foot can be too sentimental, but the film is also banking on viewers coming to see the brilliance that’s been lurking inside of Callahan by way of telling what is ultimately a story about recovery. Van Sant has assembled a good enough team of people to make this film (even composer Danny Elfman seems to be putting in a bit more effort for this one), and Phoenix is as terrific as expected in the lead. The film works well enough with the material and still stands as Van Sant’s best film in a decade. So don’t worry, there’s a solid movie here.